With the regular season coming to an end a few of the top tier teams can lock in on bringing home the Lombardi Trophy. The NFC teams are going to clash to power their way to Super Bowl LI. 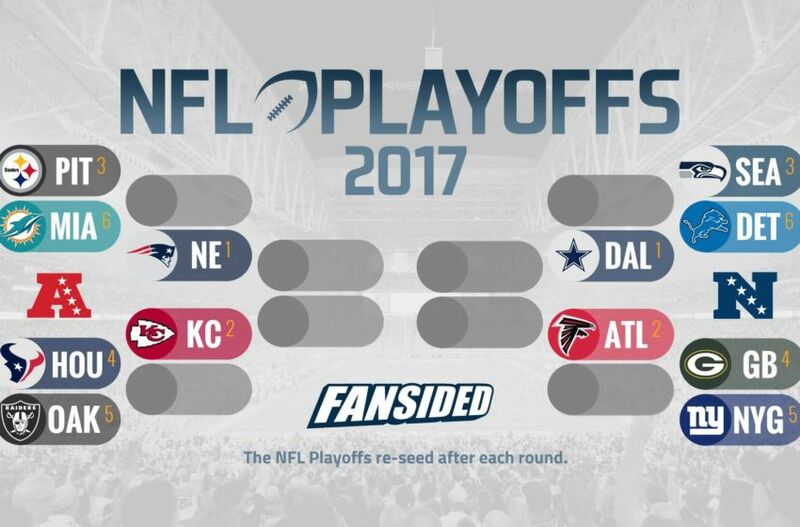 Filled with power houses such as Detroit, Green Bay, Seattle, and New York playing in Wild Card matchups the outcomes are unpredictable. Detroit was snubbed having no players on their roster elected to the Pro Bowl this year, but that didn’t slow them from finishing with a 9-6 record. An offense led by MVP candidate Matthew Stafford it doesn’t seem as if any other offensive weapons are needed. Aside from a QB there is really no great on the Lion’s offense just a lot of good that contributes to filling their schedule with wins. A sub par defense seems to be one of their only weaknesses led by cornerback Darius Slay. If Detroit’s defense can play as a team they will make a case to be true title contenders. Division rival to Detroit, Green Bay is pretty straightforward. Plain and simple, when Aaron Rodgers is your QB you are gonna win football games. Especially when he is being protected by three of the best pass blocking linemen. Overcoming numerous injuries on their roster to win six straight to finish the season. Receiver turned running back Ty Montgomery has shown flashes that he can play at an explosive level in the NFL. The only thing holding them back is a beat up defense. With arguably the weakest secondary in the NFL it will something Green Bay’s offensive firepower will have to make up for. Green Bay’s front seven unlike its secondary is always bringing the heat. Despite the age of many key players their run stop and pass rush continues to improve. A team that seemed to be the kryptonite to the Green Bay Packers is the Seattle Seahawks. On the other hand having arguably the best secondary in the NFL with the notorious Richard Sherman. Their defense also known as the “Legion of Boom” causes every opponent’s offense to throw a fit. Questions in the running back spot may hold the offense back, but Quarterback Russell Wilson’s mentality fuels that offense. To progress through the playoffs Seattle will nee complete play by their receivers after suffering a huge loss in Tyler Lockett. Seattle comes with a winning mentality considering their past which will play as a key advantage this time around. One of the most talked about players around the league seems to be Odell Beckham Jr. His sure hands and quickness can make any quarterback shine. Although recently New York’s defense has been carrying the team. With a loaded young secondary and some bruisers in the front seven New York has been the reason teams are losing sleep at night. An aging and inconsistent Eli Manning has seemed to be the only question mark on the team. If Eli can get hot and use his numerous weapons to his advantage it will make New York a tough team to beat.